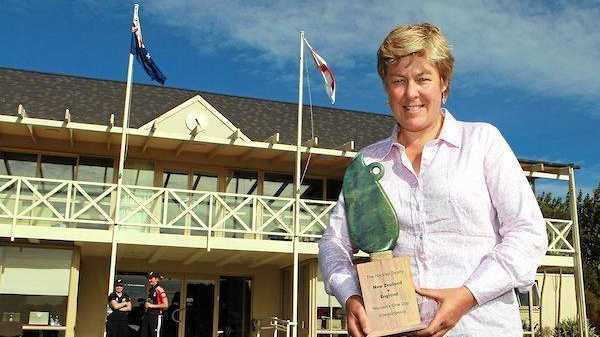 CRICKET: Former New Zealand women's captain and International Cricket Council Hall of Famer Debbie Hockley has been elected the first female president in New Zealand Cricket's 122-year history. Hockley will serve as the organisation's president for the next three years, replacing outgoing president Stephen Boock. The 54-year-old Hockley played 118 one-day internationals and 19 Tests. She was the first woman to reach the landmark of 4000 ODI runs, and also the first to play 100 ODIs. The NZC annual meeting also elected a new director in Ingrid Cronin-Knight. Cronin-Knight is also a former White Ferns representative with experience in grassroots cricket governance. Currently serving an internship on the board of Watercare, she has broad management experience in digital technology, marketing, strategy and change management, and is a founding member of Women in Sport Aotearoa. She fills the vacancy created by the departure of Stuart Heal, who steps down after eight years on the board, including the past three as chairman.